The TechShire team has been at the forefront of IT technology since 1994, providing educational establishments and businesses in the East Midlands area with top quality IT Services which evolve with technology. Helpdesk and remote services are an integral part of our Managed Support package but are also available for use by non-contract customers on an Ad-hoc basis. We provide much needed critical consultancy and support services for Microsoft & Linux servers to the small and medium business sectors using our highly qualified and trained staff. TechShire offers a range of services starting from advice & consultancy for network design all the way through to installation and commissioning of Copper, WiFi, Fibre-Optic networks as well as site-to-site VPN’s – Virtual Private Networks to secure high speed WAN’s (Wide Area Networks). To ensure continuity of IT services within a business, individual IT components must to be able to effectively communicate with each other through a secure redundant connections. Unified Messaging (UM) enables users to use voice mail features, including Outlook Voice Access and Call Answering. 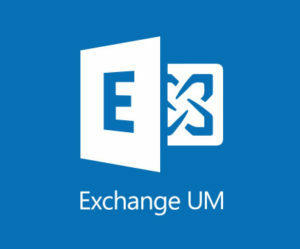 UM combines voice messaging and email messaging into one mailbox that can be accessed from many different devices. Users can read or listen to their messages from their email Inbox or by using Outlook Voice Access from any telephone. 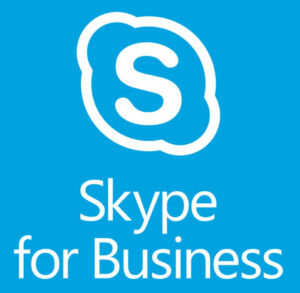 Expand or replace the private branch exchange (PBX) phone system with the enterprise calling capabilities of Skype for Business. Feature packs such as answer, forward, transfer, hold, divert, and more are available. What is cybersecurity and how it can be achieved? Cybersecurity is protecting network devices connected to the internet from cyber attacks that include servers, routers, pcs, laptops, handheld devices and so forth. There are set of very well formed techniques which can be adapted to reduce the cyber threat significantly to zero, click here for more details. Cybersecurity audit is a comprehensive report and risk assessment of cyber threats to the business network. It identifies vulnerabilities and recommends solutions for network devices and software applications and help organisations in managing the likelihood risk of cyber attack. An audit includes equipment such as routers, switches, servers, workstation, wifi access points, mobile devices and so forth. Click for more details. As a hacker would attempt, a penetration test from outside the network is a pre-emptive measure for securing a s ystem from any vulnerabilities that can be exploited in case of any cyber attack. Contact for more details. What is Endpoint security protection? Every device on the network such as a router, server, pc, laptop or mobile that connects to the internet is an endpoint, protecting each node from security threat is the key to achieve comprehensive security to the network. click hear for more details. How can I protect my business data? Businesses are often losing valued company data due to lack of proper measures in safeguarding data. We have established a broad range framework over the years which covers all aspects of data protection, from user awareness and training program to implementation of managed gateway firewall, click hear for more details. We take over full responsibility in running the IT infrastructure of a business on usually a fixed agreed cost. Continuity of IT service to peace of mind, real-time 24/7 monitoring and maintenance for Server, workstation and all other network devices. Guaranteed four working hour on-site response time for critical faults, and unlimited IT HelpDesk telephone and Remote support. Click here for more details. What is Managed Office 365 cloud services? We are official Microsoft’s Cloud Solution Provider (CSP) for Azure and Office 365. We help from order processing to email domain migration to server side setup and from setting up users on the cloud to the configuration of Outlook on client PCs. Managed Office 365 cloud services is for your peace of mind.